This is our third year working with QT Albums. They embrace everything about SNAP, they're as excited to be there as we are and they're as much a part of our community as any of our attendees. Their products are beautiful too. They're as passionate about albums as we are education and they offer everything from the most beautiful fine art prints you've ever seen to a range of bespoke albums to suit all tastes and price points. OODIO is an amazing post production team that has been providing culling, editing and design services to wedding photographers for the past 8 years. They were founded when their Chief Executive, a wedding photographer himself, started shooting weddings only to realise how time consuming post production is! OODIO cares about their staff and prioritises good pay and working conditions for their staff in Bangalore. They invest in staff education and growth, and support many of their staff to complete degrees they wouldn’t otherwise have access to. Pic-Time has a strong appreciation for aesthetics and technology. They believe the impact of photography is strengthened by its presentation and they offer a fresh and thoughtful approach to online galleries with a unique Client Store offering products such as Albums, Frames, Greeting Cards, Calendars, Prints, and much more straight from your galleries. Before and after image by Sarah Elliott. Editing by OODIO. Before and after image by Marianne Chua. Editing by OODIO. Light Blue provides indispensable business management software for photographers that manages your shoots, from enquiry to completion. You can manage everything from contracts to invoices right within the system. 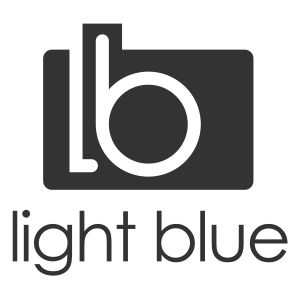 Helping photographers to run successful businesses means a lot to the team at Light Blue and their award winning support service offers free, fast and helpful email support, so you can focus taking pictures and running a successful business. Light Blue understands that the modern photographer has a lot of pressures and demands on their time, so its automation features help to free them up to focus on other important things, such as marketing, post-production, or some much deserved time with family and friends! 2019 partnerships are now available. please get in touch to discuss your ideas. We're all about bespoke, tailored and creative partnerships that enhance the experience of our community.